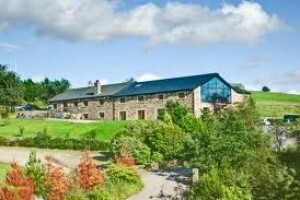 The Fisherman’s Retreat – Popular wedding venue in Ramsbottom, Bury, Lancashire. We are now fully licensed to hold civil wedding ceremonies for up to 150 guests in our stunning new purpose-built extension. Evening Wedding Fayre /viewing Evening will be held on Thursday 18th October 2018 Between 5pm- 8pm when you can view this fabulous venue and discuss your requirements further with Stephanie our events co-ordinator or any other member of our professional events team. Also present on the day we will also be Featuring a hand picked selection of top class wedding professionals from the area come along and enjoy the many offers to be had Bridal wear, Menswear, Photography, Florists, Cakes, Venue Dressing, Stationary, Jewelry, Mother Of The Bride Outfits, Chocolate fountains E.t.c. plus of course Horgans Multi-Award Winning Wedding Cars. Wedding ceremonies can be held either in the spacious Valley Suite which is dominated by an amazing feature wall of glass overlooking Holcombe Hill, or in the more intimate Nuttall Room, complete with a cosy wood-burning stove, perfect for a romantic winter wedding. The Valley Suite can cater for up to 140 guests for a wedding breakfast and also incorporates ‘The Loft’ which is a private room, available for the bride to use on the day of her wedding to rest or change clothes. Downstairs, the Radcliffe Suite offers an alternative for the evening reception, opening out onto a spacious terrace, just made for scenic photographs. This fully-equipped suite with its own bar is also perfect for partying, a private and relaxing space for up to 160 evening guests.